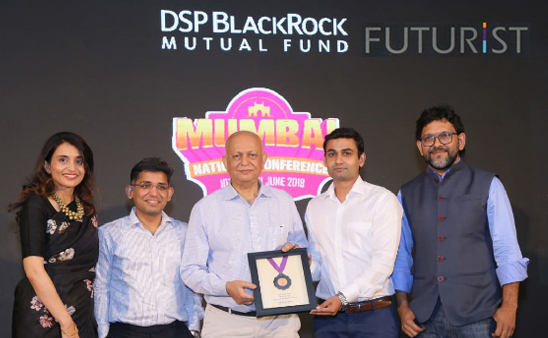 With the pioneering efforts of the entire team and the support of our valued users, we have created several milestones in the field mutual fund industry. We would like to share each and every achievement with you, so all of us can enjoy the thrill and excitement on the journey to the top. 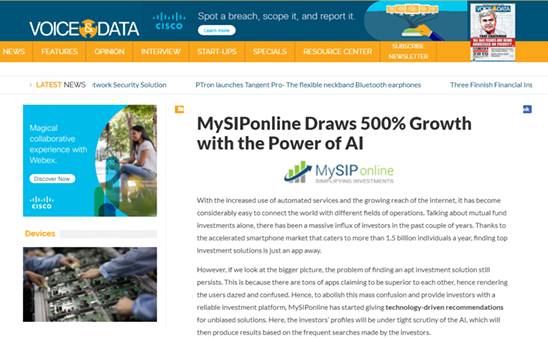 Artificial Intelligence-based algos offered huge success to MySIPonline and led it to increase its growth by 500%. 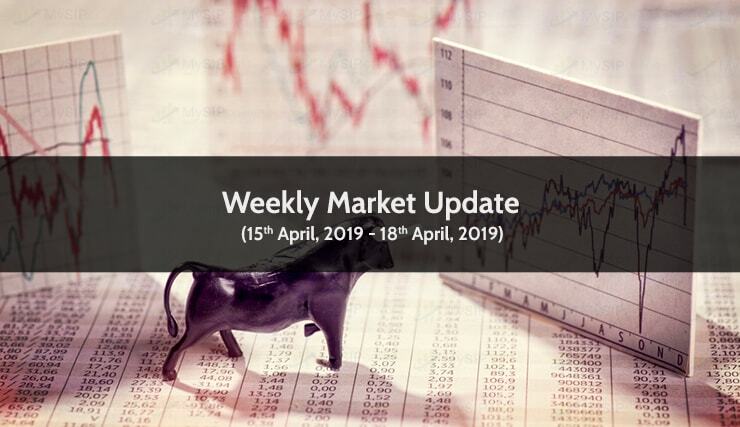 A massive influx of investors was seen in the past few years, and the apt AI driven recommendations have been a savior for them. 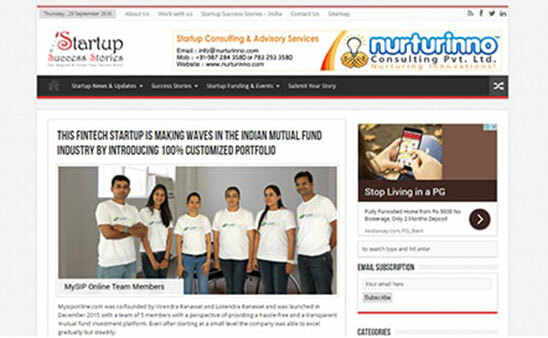 Investors got the best solutions at the online investment platform for their discrete needs. CiOL covered up the entire event through one of its articles. To know all about the progress and technological advancements, read the story provided in the link above. 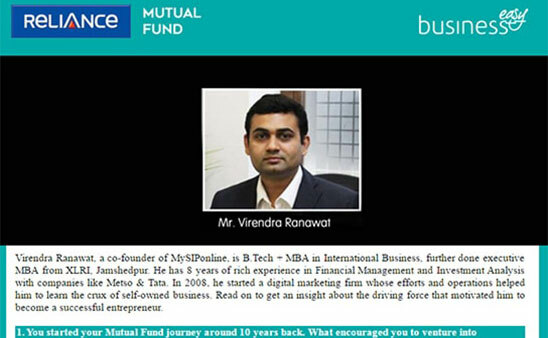 Yes, it’s one million viewers on Quora of Virendra Ranawat, CEO MySIPonline. The news spread like wildfire and Whizsky was the first one to cover the entire story. Mr. Ranawat got candid and shared some of the beautiful life lessons he got during the journey to success. Also, their YouTube channel is a huge success today which lies in the subscription list of almost every active investor in India. Read the entire story here to know what was the motivation behind and where they are planning to head in the years ahead. 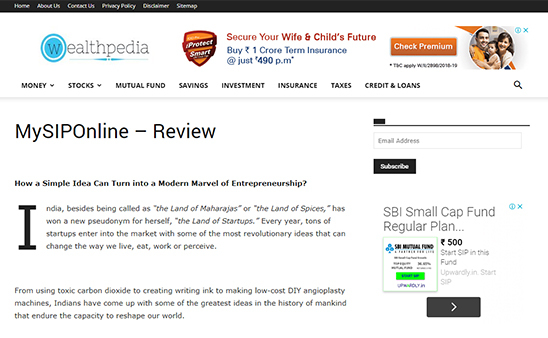 Wealthpedia recently reviewed MySIPonline- the emerging Startup which was successful in catching the eyeballs of hundreds & thousands of investors in India. It included the success story in the words of the man behind the name itself, Mr. Virendra Ranawat. 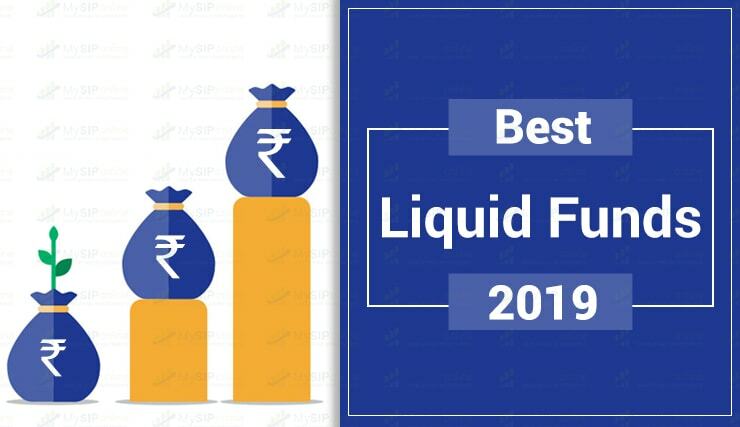 Besides, a little tip is also provided for the investors for 2019. Excited to know what else? 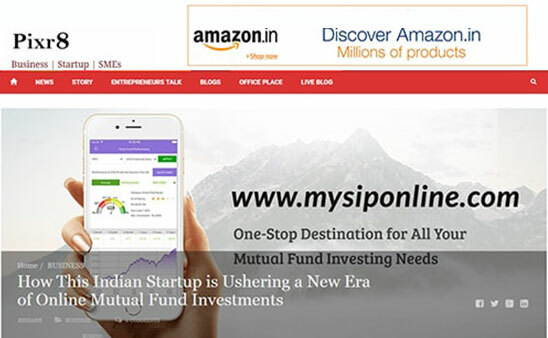 MySIPonline, the mutual fund giant, has been setting up examples and giving tough competition to almost all top investment platforms in India. Time to time it is evolving itself with new services and technological improvements. 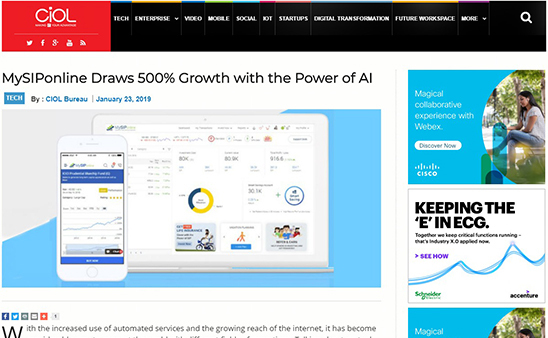 This time as well, SiliconIndia - the largest community of Indian Professionals has published a media coverage on its latest value-added services. Want to know more about them? Read here! 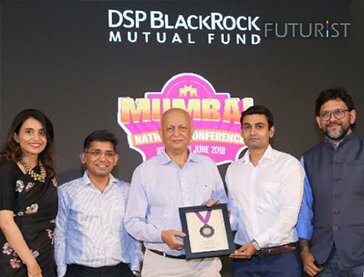 With the pioneering efforts of the entire team at MySIPonline, it has been successful in adding a new feather to its cap recently at an event conducted by DSP BR MF. 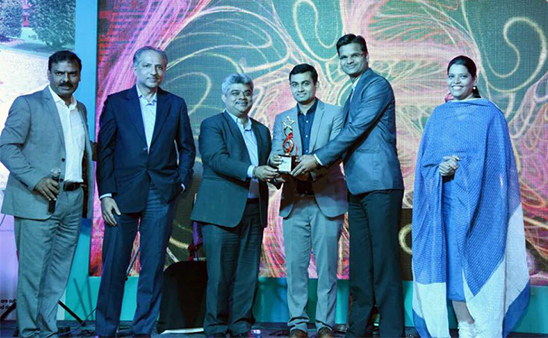 It has been presented the award for the Highest Equity & Debt Net Sales. Read to know the entire tale. 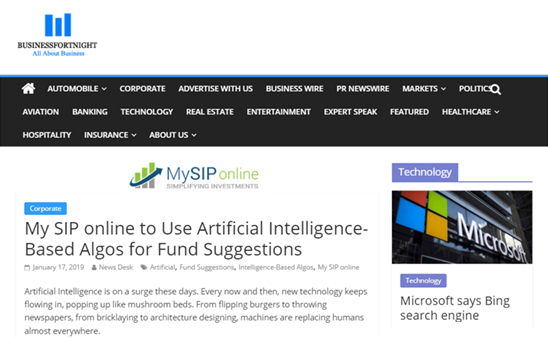 For the purpose of bringing advancements in the world of mutual fund investments and providing ease of online transactions, MySIPonline has paved the way toward building an upgraded and highly-featured investment platform for the Indian investors. 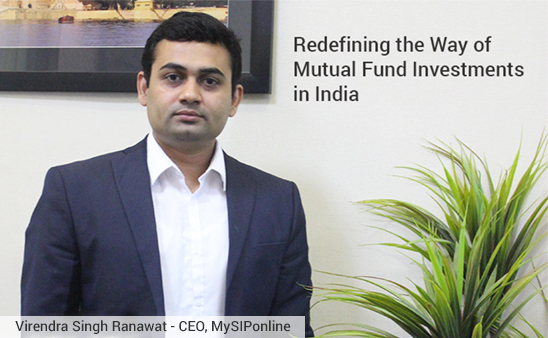 Making investment simplified is the primary objective of MySIPonline and for that they have tuned with the fastest growing asset management company, i.e., Reliance Mutual Fund. 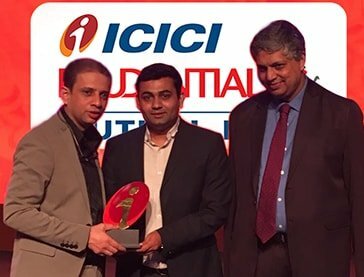 Know how they have integrated the most-advanced investing solutions in association with Reliance to bring ease of investing in the lives of investors for better growth in capital and enhance their savings altogether. 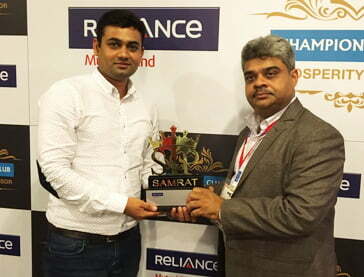 Mr Virendra Ranawat, an Udaipur-Based entrepreneur, has proved that one simply needs strong determination and desire to establish a productive business and build customer relationship. 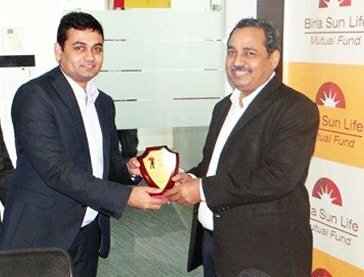 In just a couple of months, his startup venture MySIPonline has crossed the 2000 client-base, and is aiming towards reaching more heights in the coming future. Know about its achievements until now. The "Fintech" (Financial Technology) startups are constantly touching the boundaries of Internet while shrinking the traditional ways of saving money by providing a platform for investing and managing finances at the same time. Read this press coverage to know more. 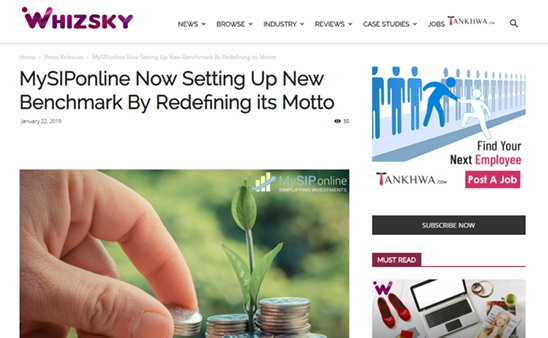 You must want to know how MySIPonline provides such an ease of making online investments. 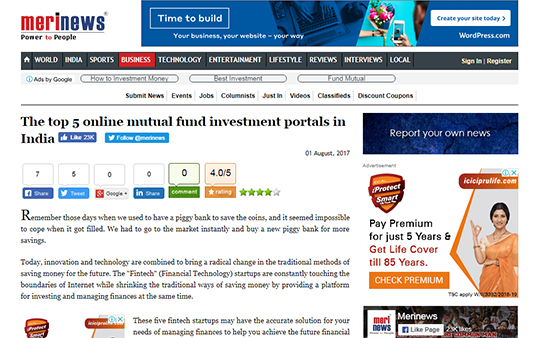 Read the write-up to know about the various solutions offered by MySIPonline to make the investors’ journey simplified. 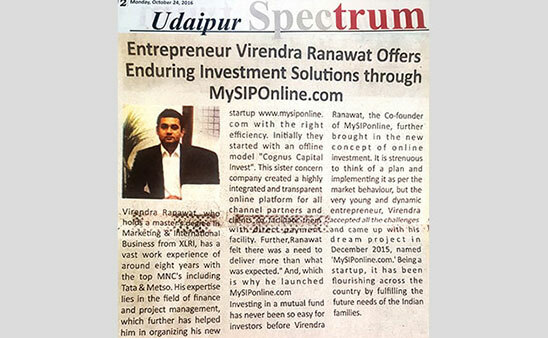 With the primary objective of providing investment solutions to the investors, and to accomplish their financial goals, Mr Virendra Ranawat, Co-founder of MySIPonline, launched the Fintech Start-Up. 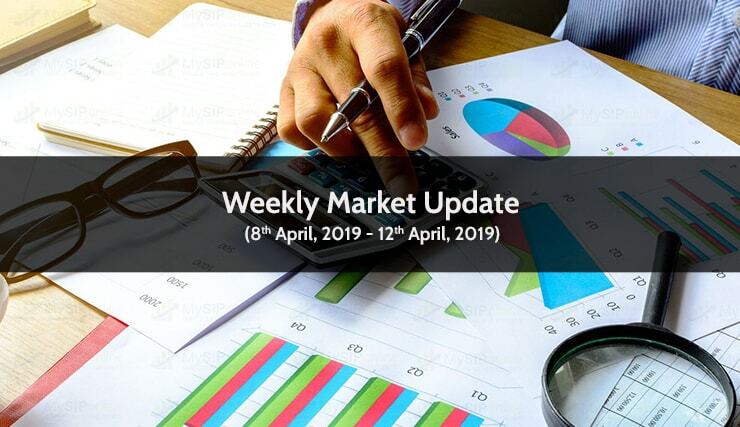 He has made different researches and analysed the needs of a large section of the society to come out with the concept of online mutual fund investments. 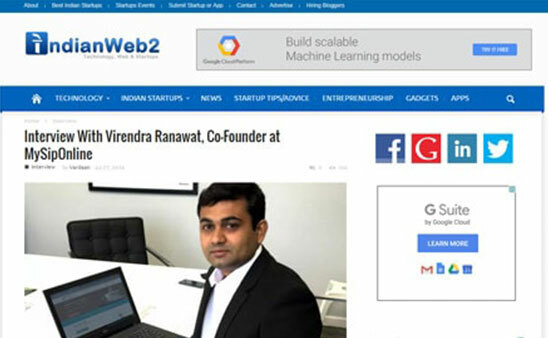 If you wish to gain some knowledge about the working culture, technology and factors as per which MySIPonline is working then this exclusive interview with Virendra Ranawat(Co Founder, MySIPonline) will help you in knowing the same. Here he has shared his views and ideas of initiating the business and explained how his entire team is indulged in providing the best services to the investors across the country. 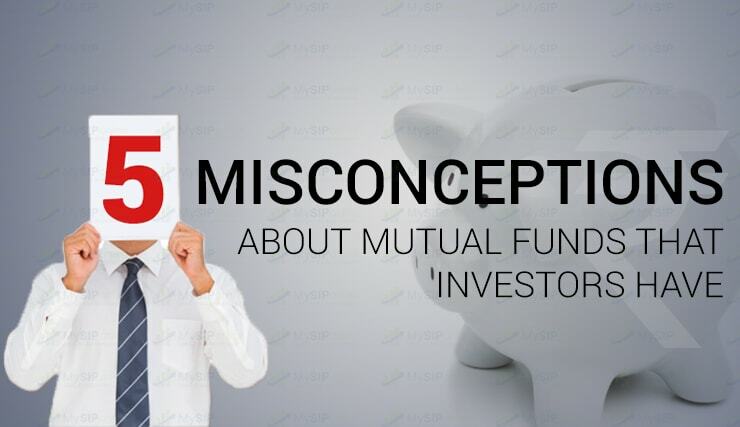 With an aim of providing personalised investment solutions to cater the needs of every investor, MySIPonline offers the ease of customizing the portfolio and reviewing the same. Read this Press Release to know how does it function. 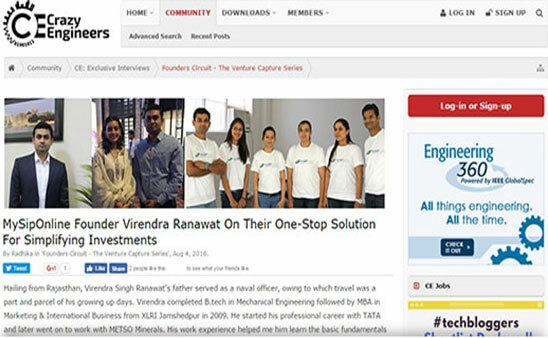 In order to know about the experiences, ideas and innovations of building a successful venture MySIPonline, Virendra Ranawat was interviewed. 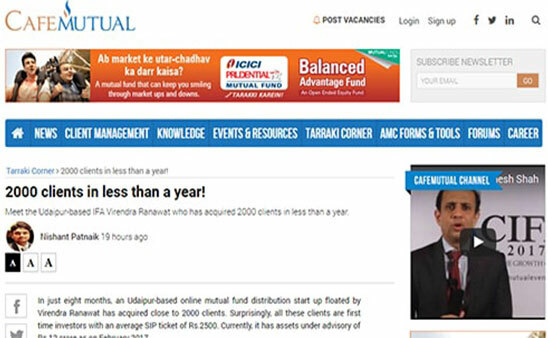 Read this Press Release to get an insight of his views and the concept behind generating personal advisory portal for investors.